The temperature was minus 7.8 degrees on 5 o'clock in the morning. I tried to cleaned snow around Stella a hour before 5 o'clock. I run from Stella to house about 4.0 kirometers. 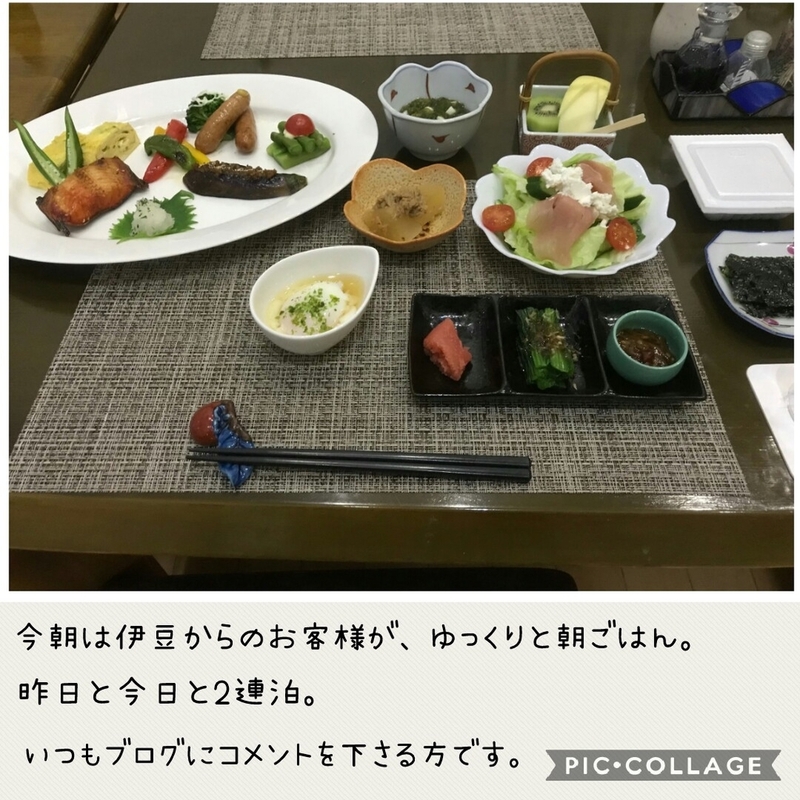 The guest who come from Izu had breakfast slowly. He will stay 2 night. I went to Nakafurano town for shopping, after we went to nakafurano town. 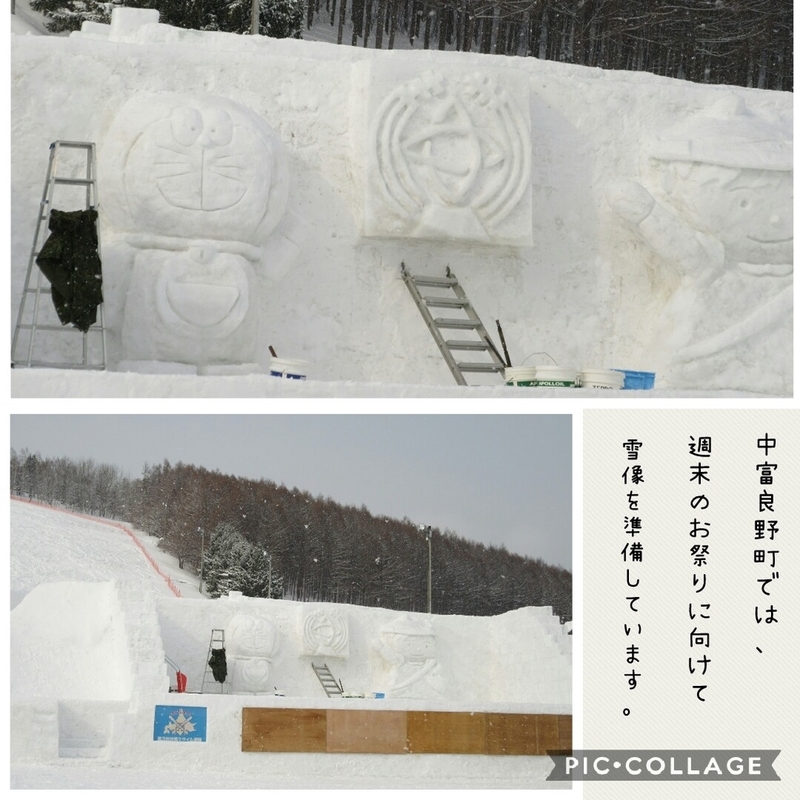 Snow festival in Nakafurano town will hold this weekend. 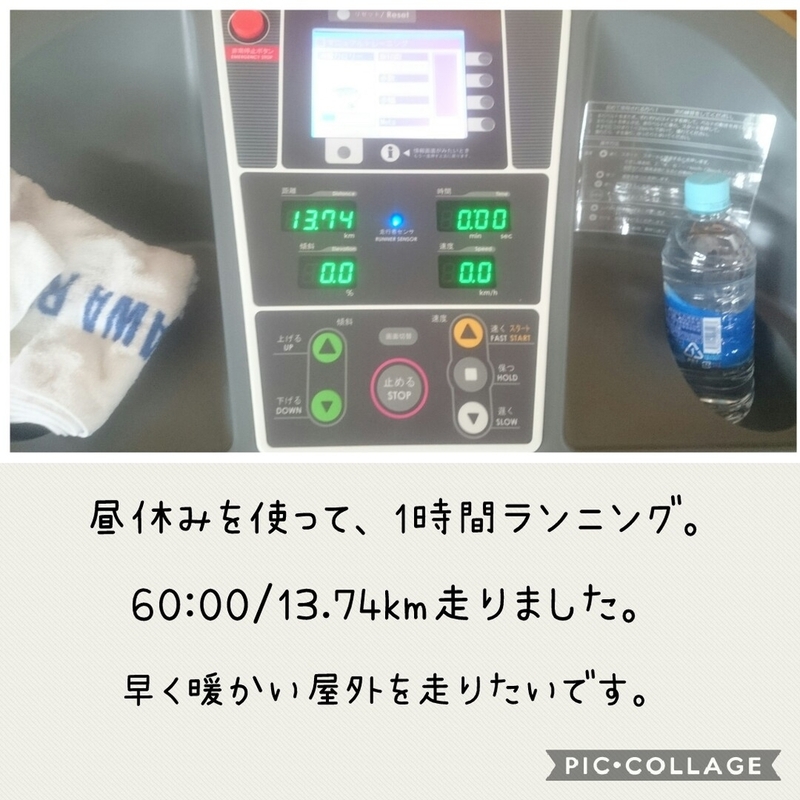 After lunch, I run a hour and about 13.7 kirometers. I will have snow run race in Sapporo. 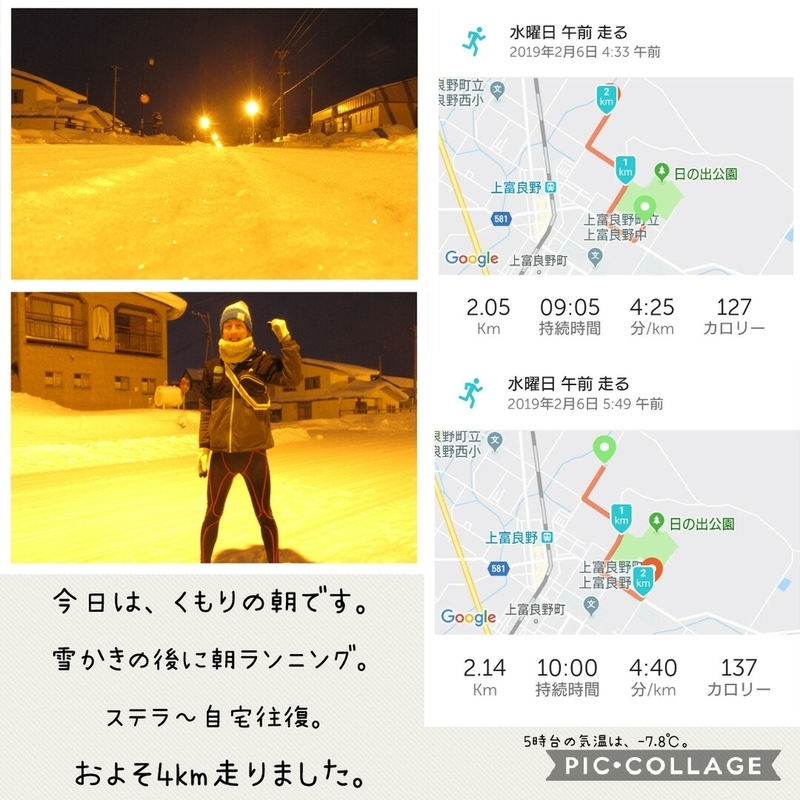 I will join 10 kirometers snow run. 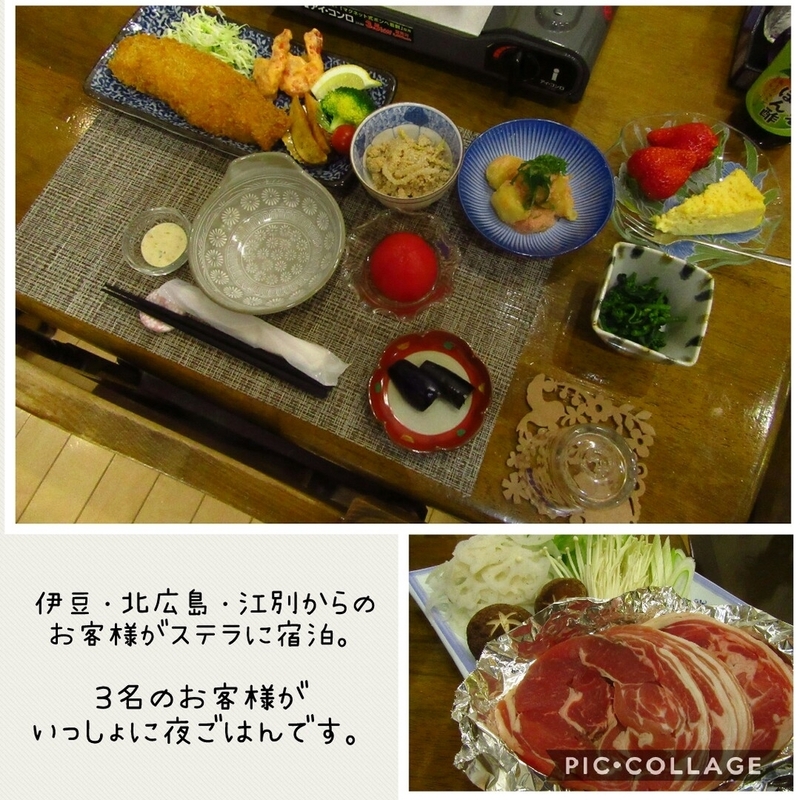 The guests who come from Izu,Ebetsu city, Kita-Hiroshima stay Stella tonight. The last is information on rebroadcast about「paradise of life」. 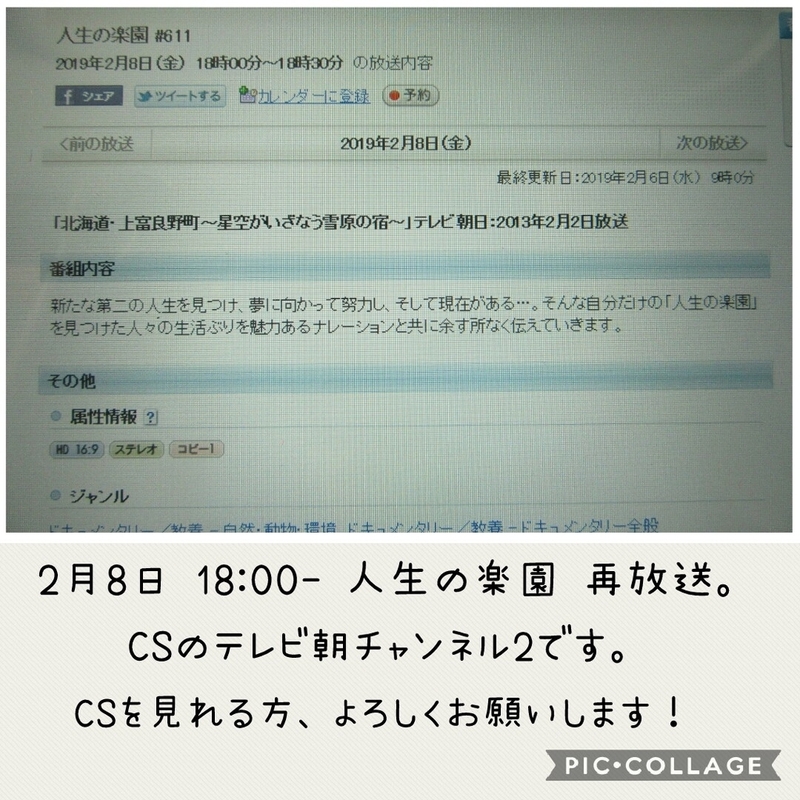 I told it before, this program will be rebroadcast in CS TV Asahi channel 2. This program broadcasted on 2013.02.02. It happens cost this channnel, so...please watch it. 7th will be cloudy in town.